Last week Bryce wrote about the 7 Tools You Can’t Live Without. He lists classic tools, including hammers, screwdriver sets, ratchet sets, and–of course–duct tape. 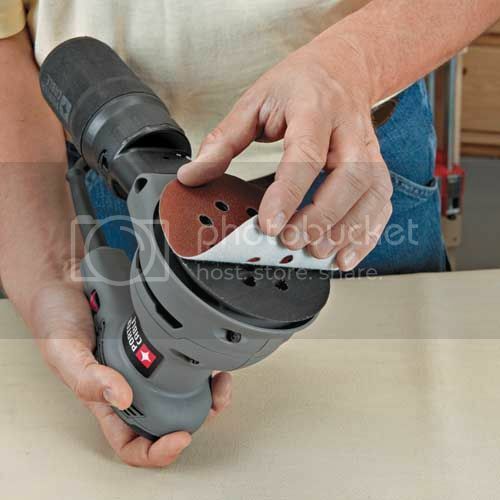 But the list only mentioned one power tool: the circular saw, which I have to admit is a pretty useful tool. 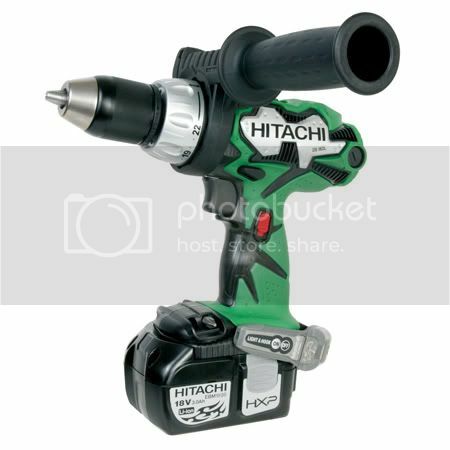 This week I’m following up on that post with a list of power tools every self-respecting DIYer should have in their shop. I’d include circular saws on this list, but Bryce already touched on those in his last post. So that’s why you won’t see that incredibly versatile tool here. And remember, if you have one of these tools already, but it’s not working–shame on you. I’ll link each of the tools to our parts pages for them. There you can find the parts you need to get your shop back in working order, because no shop is complete without these basics in working order. And your neighbors are probably whispering about the circular saw that’s been broken for months behind your back. Because that’s what good neighbors do. 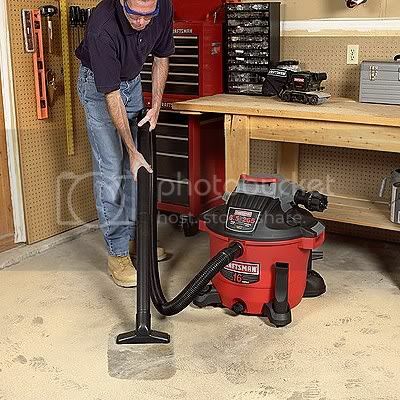 If you’re doing any work with wood, you probably want a shop vac, also known as a wet-dry vac, in your arsenal of tools. Really, if you’re doing any work indoors or outdoors, you probably want a shop vac at your disposal. While not a “tool” in the classic sense, no home shop is complete without one. They clean up sawdust, metal filings, and even liquid spills, and any self-respecting DIYer knows a clean and organized work space is essential to getting the job done right. This was a hard choice as belt sanders are also incredibly useful. But I’m giving random orbit sanders the edge because they tend to treat projects a little kinder; that is they won’t scar wood as easily if you go against the grain. Great for wood-working projects and prepping base boards for painting, you can sand just about anything with the right pad. Any woodworker will have multiple sanders, but if you’re just a weekend DIYer, you can’t go wrong with the versatility offered by a random orbit sander. As I mentioned in the intro, Bryce already brought up circular saws. Those are pretty awesome. But coming in a close second in the saw department is the reciprocating saw. While certainly not as clean when it comes to cutting wood as a circular saw, these beasts are great for all-around cutting needs. They can cut wood, metal, plastic, and just about everything else under the sun. Get the right blade, and there’s nothing a good recip saw can’t get you through. As far as versatility goes, it’s hard to beat this tool when it comes to everyday DIY cutting needs. As an added bonus, they’re just really, really fun to operate. Well, we all saw this one coming. 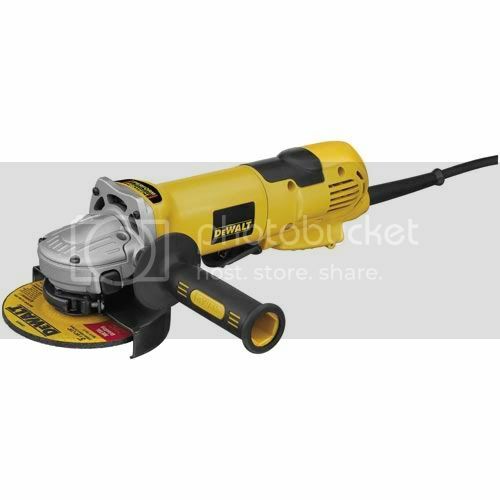 The most versatile and important power tool by far: Let me introduce the electric drill. 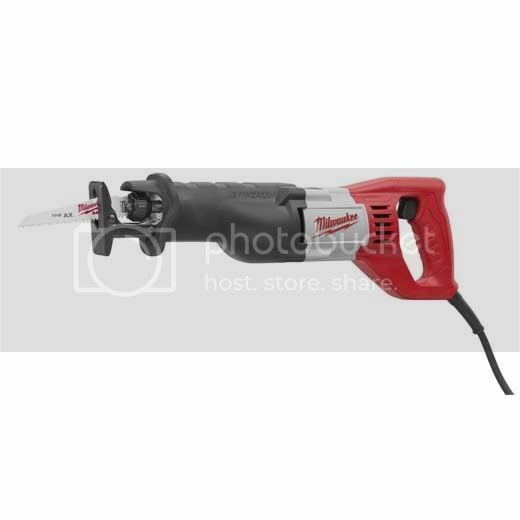 Whether you’re using a corded or cordless model, this is likely the very first power tool you ever owned. Drive screws, drill holes, well, that’s about all this thing does, but there are all of about 0 projects in which you don’t end up driving a screw or drilling a hole. Sure, in many cases a hand tool will work just as well (think automotive applications), but, let’s face it, an electric drill is an electric drill. It saves time, energy, and often makes the impossible seem simple. Can you imagine hand-drilling a 4″ hole through a 2″ sheet of metal? No? Neither can I.